Coolpad has launched its latest entry-level handsets in India named Coolpad Mega 4A and Coolpad A1. Both the smartphones will be made available from 13th April 2018. The Coolpad Mega 4A and Coolpad A1 are priced at Rs. 4,299 and Rs. 5,499 respectively. The smartphone has a 5-inch HD display with a resolution of 1280 × 720 pixels. The phone runs on Android 7.0 Nougat. The device, which supports Dual SIM, has 16GB of internal storage. Its storage can be increased up to 32GB. 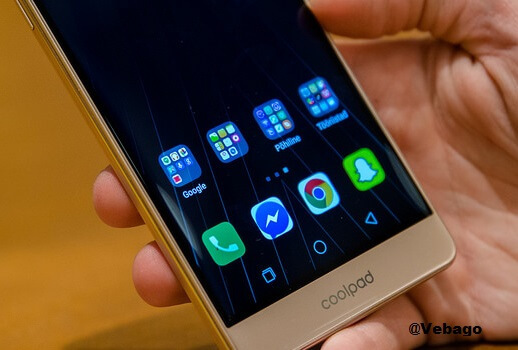 The Coolpad Mega 4A Smartphone has a 1GB RAM with a quad-core processor. Coolpad Mega 4A has 1.3 GHz Quad-core Spreadtrum SC9832 processor. Talking about the camera, it has a 5MP rear and a 2MP front camera. 2000mAh battery is provided for power backup of the phone. Connectivity options include 4G LTE, Wi-Fi 802.11 b/g/n, 3.5mm audio jack, FM Radio, Bluetooth v4.0 and GPS. The device comes with an improved camera features which have an 8MP rear camera with LED flash and a 5MP front-facing camera. The Dual SIM smartphone has a 5-inch HD display with a resolution of 1280 × 720 pixels. It runs on Android 7.1 (Nougat) OS. Coolpad A1 is powered by a 2500mAh battery. Connectivity options on the device include 3.5mm audio jack, FM Radio, 4G VoLTE, Wi-Fi 802.11 b/g/n, Bluetooth v4.0 and GPS. There is a 1.1 GHz quad-core Qualcomm Snapdragon 210 (MSM8909) chipset processor with Adreno 304 GPU. It has 2GB RAM, 16GB internal memory, expandable memory up to 64GB with micro SD.